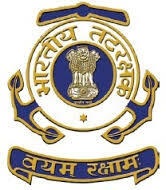 Headquarters, Coast Guard Region (NE), Kolkata invites applications from willing and eligible candidates for recruitment of Upper Division Clerk, Store Keeper and Carpenter on deputation basis. Eligible Candidates apply within 60 days from the date of publication of this advertisement in Employment News Paper (27 February - 4 March 2016). Eligibility: Officers under Central Government holding analogous posts on regular basis. How to Apply: Applications in the prescribed proforma along with the complete and up to date ACR/ APAR/ Dossiers (or attested photocopies of the ACRs/APAR for the last 5 years) in respect of the candidates who could be spared in the event of selection may be sent to THE COMMANDER (FOR REGIONAL CIVILIAN PERSONNEL OFFICER), HEADQUARTERS, COAST GUARD REGION (NORTH EAST), SYNTHESIS-BUSINESS PARK, 6TH FLOOR, SHRACHI BUILDING, RAJARHAT, NEW TOWN, KOLKATA - 700157 within 60 days from the date of publication of this advertisement (i.e. Last date may be 26/04/2016).